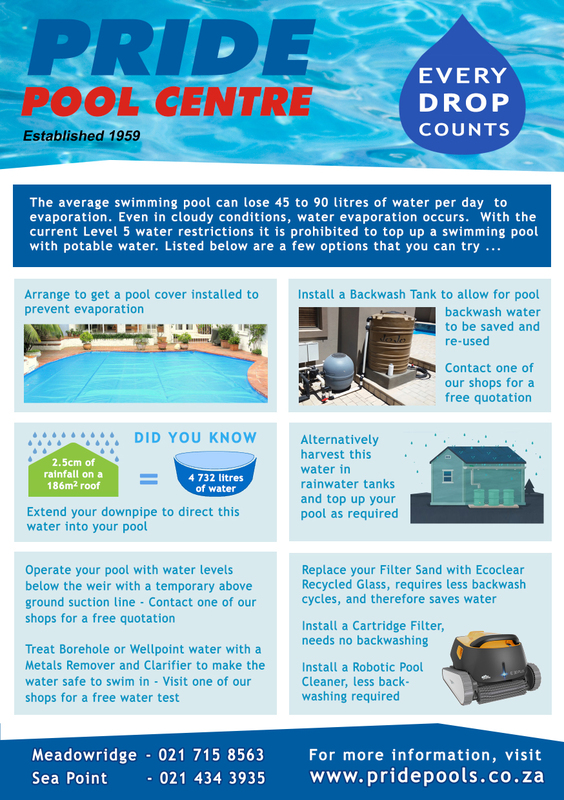 The average swimming pool can lose 45 to 90 litres of water per day to evaporation. Even in cloudy conditions, water evaporation occurs. 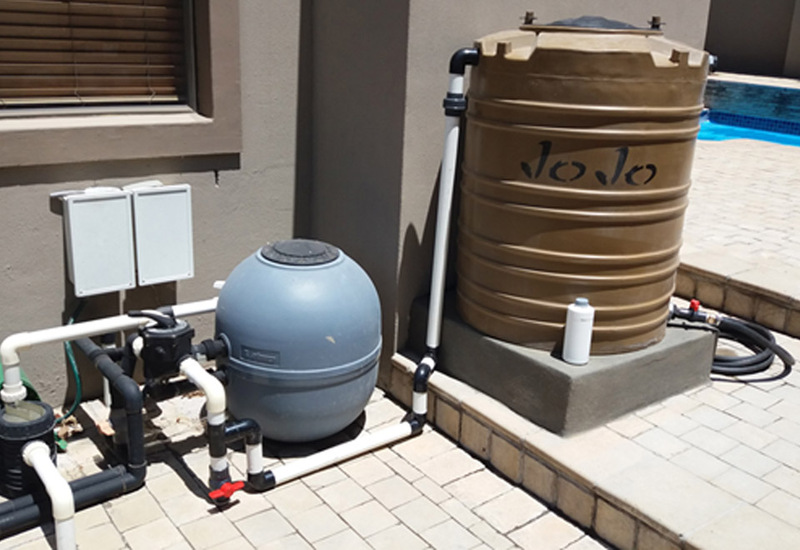 With the current restrictions that are in place, it is prohibited to top up a swimming pool with potable water. Listed below are a few options that you can try. 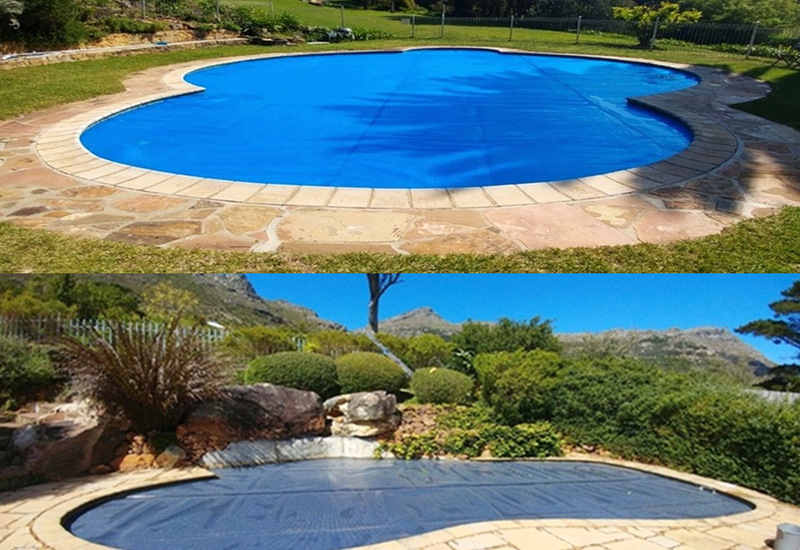 Arrange to get a pool cover installed to prevent evaporation. Contact Power Plastics on www.powerplastics.co.za . They will be able assist and quote accordingly. Operate the pool with water levels below the weir. Contact one of our shops for a free quotation to fit a temporary above ground PVC suction line. 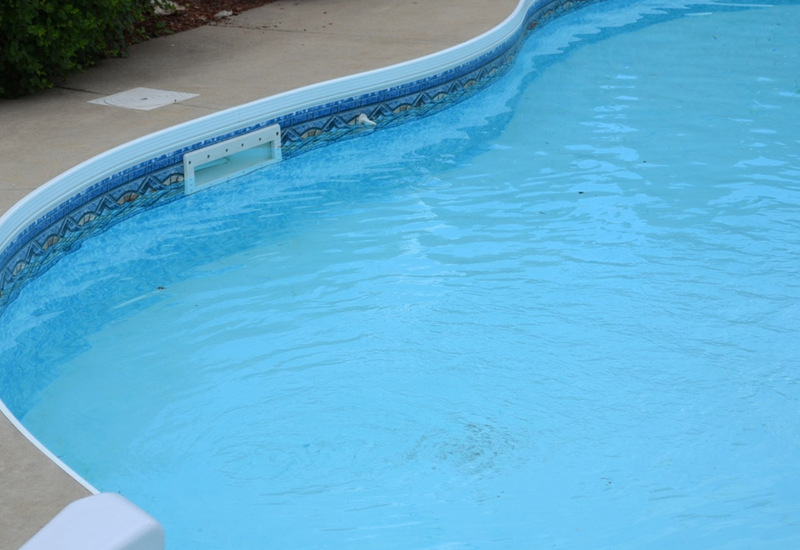 Install a Backwash Tank to allow for pool backwash water to be saved and re-used. Contact one of our shops for a free quotation to supply and install. Extend your downpipe to direct this water into your pool. Alternatively, harvest this water in rainwater tanks and top up your pool as required. Contact your local hardware to supply you with a reasonable size tank, then call one of our shops for a free quotation to plumb this tank for you. If using Borehole or Wellpoint water, this may need to be treated with a Metals Remover and Clarifier to make the water safe to swim in. Visit one of our shops for a free water test. Replace your Filter Sand with Recycled Glass. The Recycled Glass backwashes quicker than Sand, requires less backwash cycles, and therefore saves water. Replace the existing Sand Filter with a Cartridge Filter, no backwashing required. Purchase a Robotic Pool Cleaner. These cleaners do not rely on suction from the filtration. The dirt collected is not deposited in the filter, less backwashing required.